Animuzic Night 2018 Vol. 2 Brought On The Excitement For Anime & Game Music Lovers! Music from both anime and games are near and dear to our hearts, yet they don’t always get the attention that they deserve. Since little attention was given to this growing fan culture in Malaysia, many small organizations tend to host their own gigs to show their appreciation towards performers from various well-known groups and Animuzic Night is one of them. Animuzic Night Vol. 2 was held on 14th July 2018 (Saturday) at the SkyArk Event Space. Throughout the event, the crowd was very supportive as they danced to the songs the performers were singing while swinging around their light sticks in the air. Shout out to the crowd for being so supportive, woohoo! The event started off with Prime Monument, performing ‘Go Go Power Rangers’ by Ron Wasserman which is very nostalgic as many of us started watching anime with the Power Rangers series. 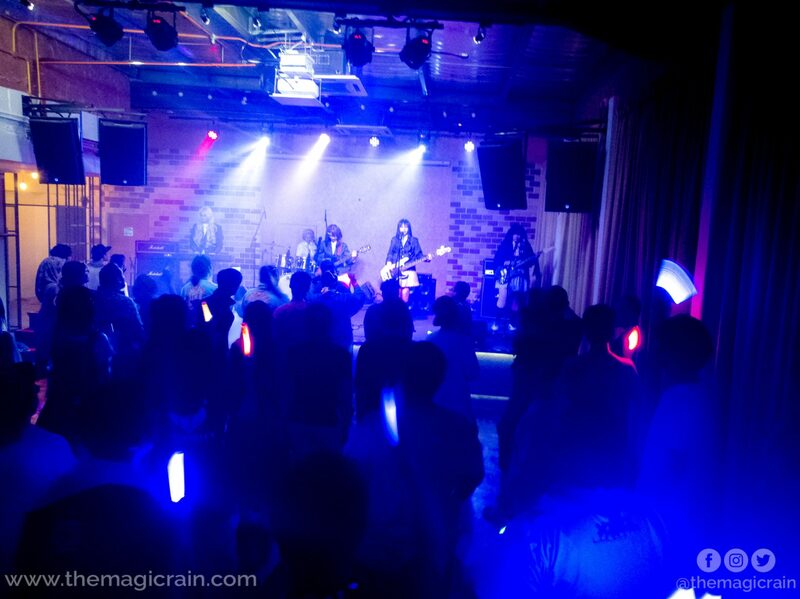 Featuring a fellow local performer, Cincereslla, the event went on with them singing the Gundam Build Fighters theme song, ‘wimp’ by Back-On, followed by ‘Crossing Fields’ by LiSa. But the one song that I liked the most was ‘The Hero! !’ by Jam Project as their vocals were very strong. I was shocked that while the original song needed more than 3 vocalists to sing it, but Prime Monument’s vocalist could cover the song by himself very well. 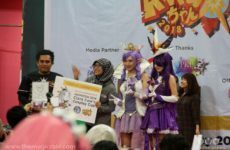 After Prime Monument, Fate Feather conquered the stage, performing songs such as ‘Eternal Blaze’ by Nana Mizuki, ‘Scarlet Knight’ by Nana Mizuki, ‘Dakara Hitori Janai’ by Little Glee Monster (feat. Sandra), ‘Crow Song’ by Girls Dead Monster (feat. Sandra), and ‘Ninelie’ by Aimer (feat. Minori from The Crestfall). 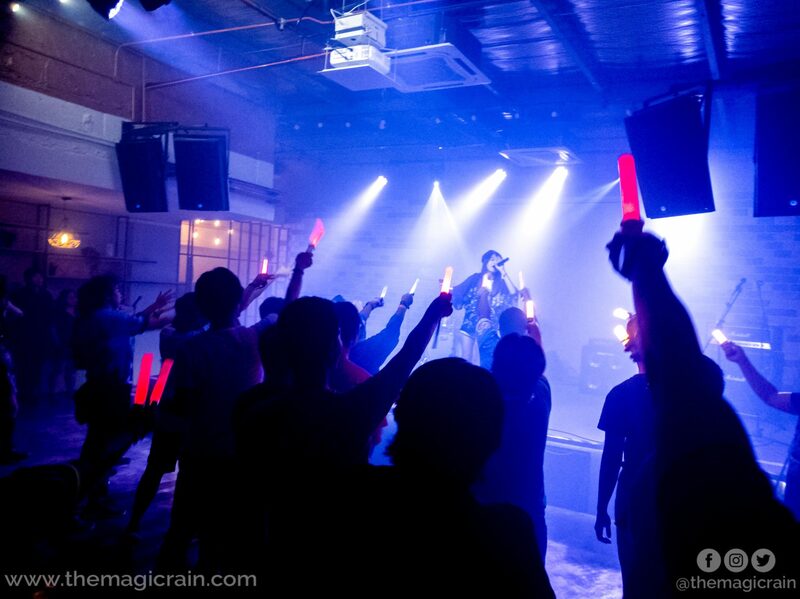 Fate Feather also invited Crestfall Shuffle on stage where they revealed their new song which is called ‘1800 (short ver.)’. It’s very good that I’m even considering buying the single. Lastly, Fate Feathers ended her performance with ‘Uchiage Hanabi’ by Daoko featuring Mystical Mirage’s main vocalist, Kenneth. It was surprising how both of them sounded just like the original singers. 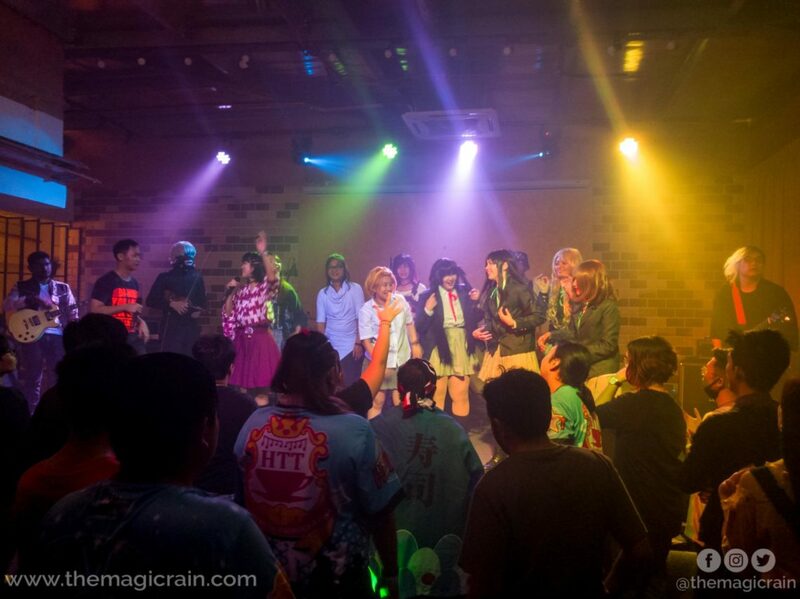 The event continued on with Miracle Beats where the entire team wore K-On!! costumes just like the K-On!! anime itself. They’re so cute that even the way they covered the songs was melting my heart. They sang songs from the K-On!! anime such as ‘Don’t Say Lazy’, ‘Calligraphy Pen~Ballpoint Pen~’, ‘Pure Pure Heart’, ‘U&I’ and the most famous one which is ‘Fuwa Fuwa Time’. Last but not least, the performances ended with Higashi Kitty Band. At the beginning of their gig, they sang ‘Sobakasu’ by Judy and Mary, followed up ‘Silhouette’ by Kana-Boon. The one song that I liked the most was when they sang ‘Oddloop’ by Frederic. Oddloop’s music video has a very funny dance and the crowd was being so supportive that everyone started to dance to it exactly like the music video. They then continued on with ‘Jiyuu e Michizure’ and performed the last song, ‘Butterfly’ which included all the performers as well as the vocalist from Mystical Mirage which was very nostalgic and heart-melting. 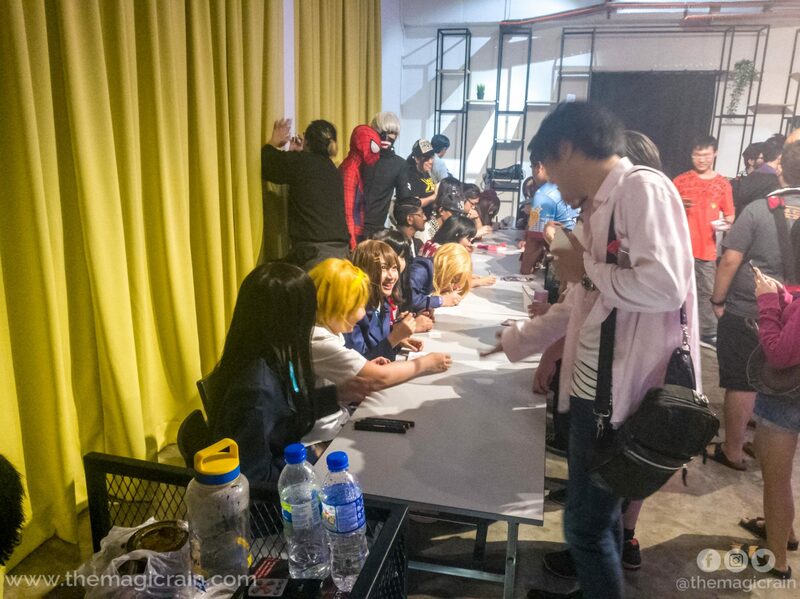 After the concert, they held a meet and greet session with all the performers where the event-goers had the chance to talk to them and get their signatures as well. I took the opportunity to join them and the best part – or at least, in my opinion – is you could actually ask them to sign anywhere you want. 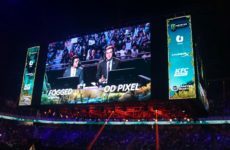 Personally, I think that this kind of event should be held more in the future as we need to acknowledge the performers in the local scene more. 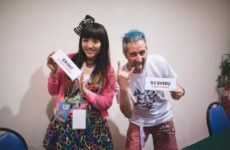 It also helps fans of anime culture to know more about existing bands in the ACG community, because they only have the chance to perform at events if they’re invited. It doesn’t help that the usual event schedule is pretty tight and only allows 2 or 3 performers to perform on stage. 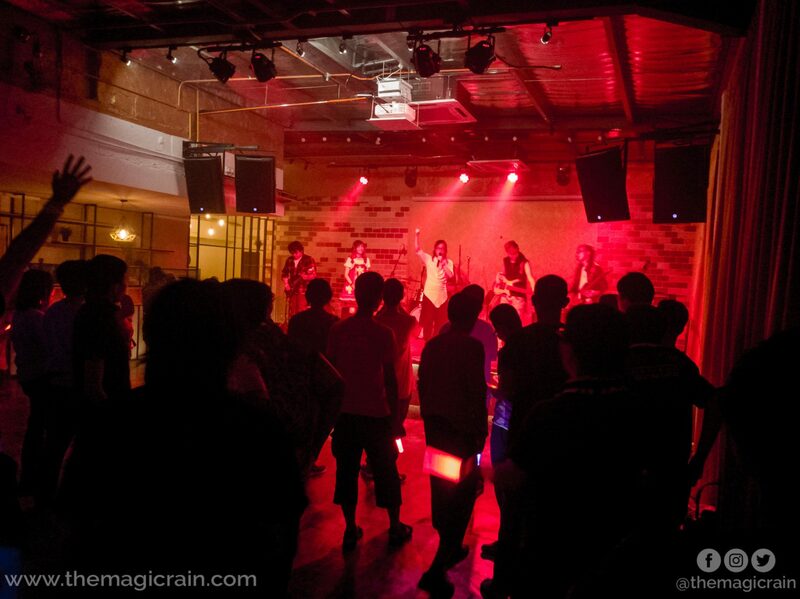 Were you there at Animuzic Night Vol. 2? If so, which performers did you like the most and is there any particular song that you love from them? Do tell us in the comments below! Previous Post San Diego Comic Con 2018 Movie Trailers: Aquaman, Fantastic Beasts, Godzilla & More! AMG-chan Returns For Its 2nd Year!